Protint is a family-run and family-owned business that’s been in operation for 23 years. In that time we’ve been voted the best tint shop in the tri-city area 11 years running! We’ve also received the LLumar certificate of excellence for our high standard of customer service. 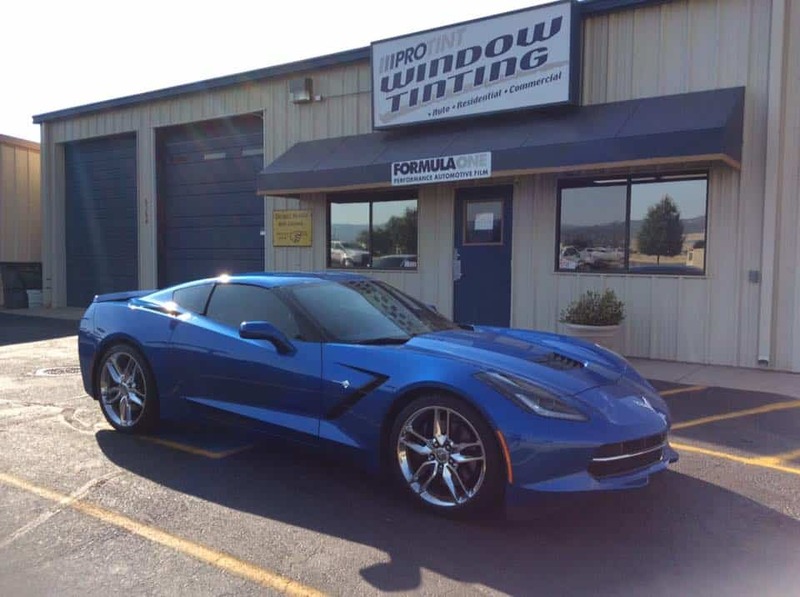 So if you’re looking for the premier window tinting and paint protection company in Prescott Valley, AZ, look no further than Protint. We pride ourselves on the quality of our work, and customer satisfaction is our number one priority. Our team of highly trained professionals know how important you car is, and that’s why we only provide the highest quality window tinting and paint protection services. Each member of our team is dedicated to providing you with the best service, and they are always happy to answer any questions you might have. Tinting windows protects against the sun’s harmful UV rays, provides extra privacy, minimize glare, and help keeps the heat out. Whatever your reasons for needing window tinting, we make sure to provide the best possible service. All of our tinting is done in a controlled indoor environment to minimize interference. There’s nothing worse than damaging the finish on your car, and repair to paintwork can end up being very expensive. We use clear bra films to protect your car from adverse weather and road hazards. Bra film helps to protect against chipping and minor scratches from road debris such as gravel and rocks. If your old window tinting isn’t right, or has worn badly, let our team remove it for you. We apply the same level of care to removing tints as we do to putting them on. Once we’ve removed the old tint, let us help by installing a new tint on your windows. We want to make sure you’re happy with all work completed on your vehicle, and will do everything we can to exceed your expectations. We’re always completely clear about what work we intend to carry out, and will always provide you with a written estimate before starting. This is to make sure that not only are you happy with the proposed work, but also so you know you’re getting the best deal. All of our work is completed on site, and we want you to know your car will be handled with care. You can check the progress of work at any time, and our staff are happy to sit down with you and answer any questions about our products or services. At Protint, we pride ourselves on getting the job done quickly, and to the highest standards. After all, there’s a reason we’ve been voted the best tint shop in the tri-city area for 11 years running. So if you’re looking for auto tinting and paint protection services in Prescott Valley, AZ, contact us today to arrange an estimate. This nearly clear film helps keep your vehicle cooler without the dark appearance of traditional tint. When you want to help protect yourself, your passengers and your car interior from harmful UV rays and you want to reduce interior heat, AIR Series window film is for you. Enjoy the benefits of conventional tint without changing the exterior appearance of your vehicle.